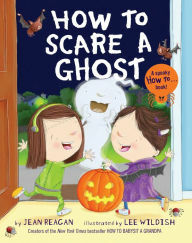 Saturday, October 27 at 11:00 a.m., Barnes and Noble is hosting at free Halloween storytime for kids. It's Halloween and ghosts shouldn't get all the fun! Kids who want to scare ghosts have to find them first in this story that will be sure to delight. Find out more about this free program on the Barnes and Noble event page.